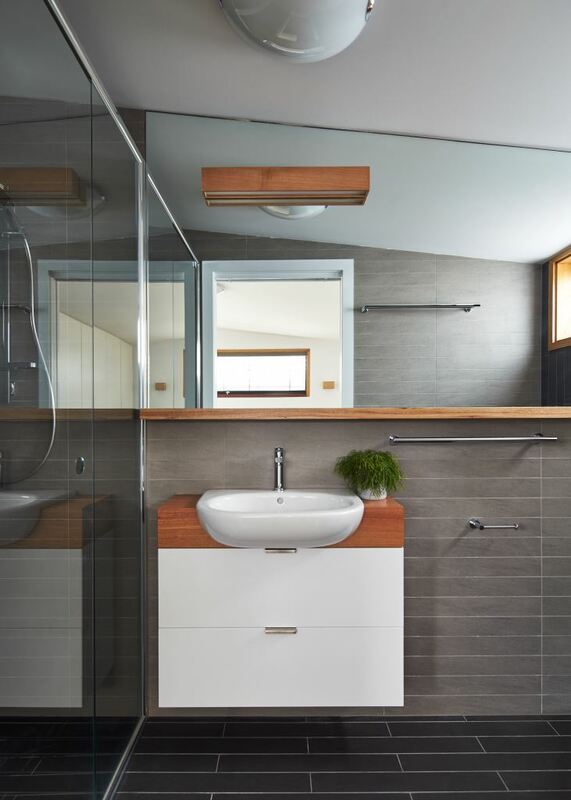 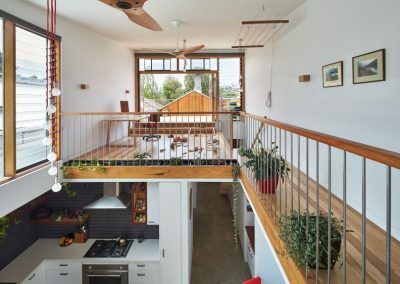 This project has been designed by Architect, Ben Callery and brings together the sites natural elements to help deliver a relaxed, bright and airy ambience for his clients to enjoy. 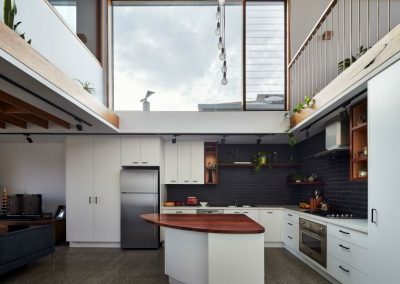 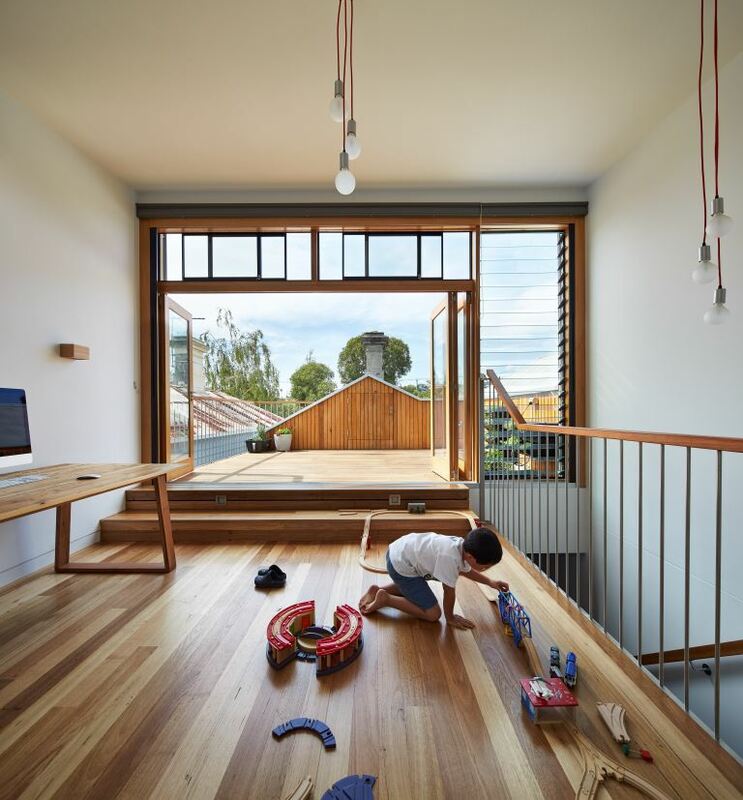 The boundaries were stretched for the typical terrace house located in Northcote, Victoria and Ben Callery has transformed the existing habitat that was once a cold, dark and seemingly narrow space, into a home that can be thoroughly enjoyed by a family of three. The owners enforced that they wanted their new addition to be sustainable and naturally comfortable. 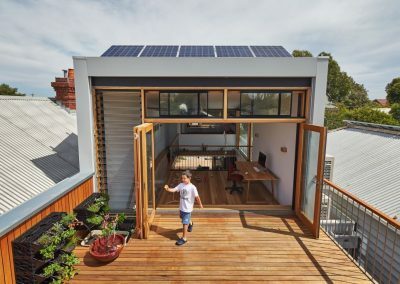 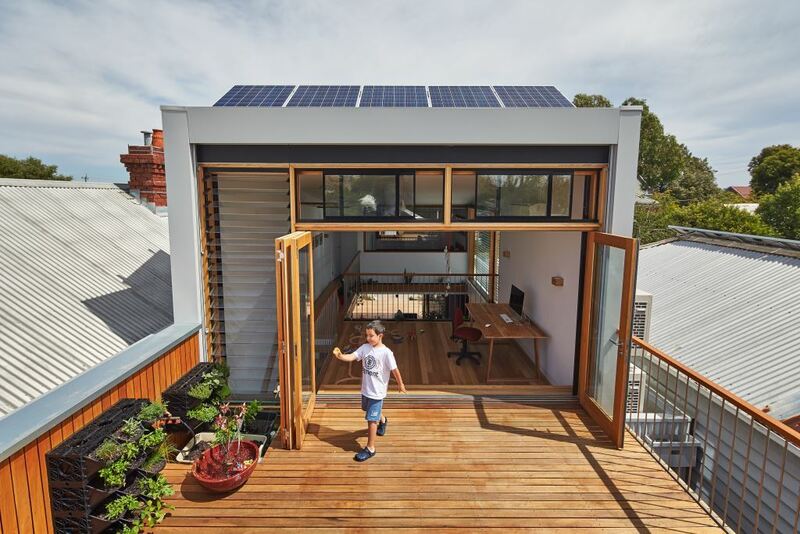 The design was therefore required to utilise passive design principles including the use of the sun for heating purposes, breezes for cooling, water harvesting, solar power, recycled materials, and the integration of an indoor clothes-airer. 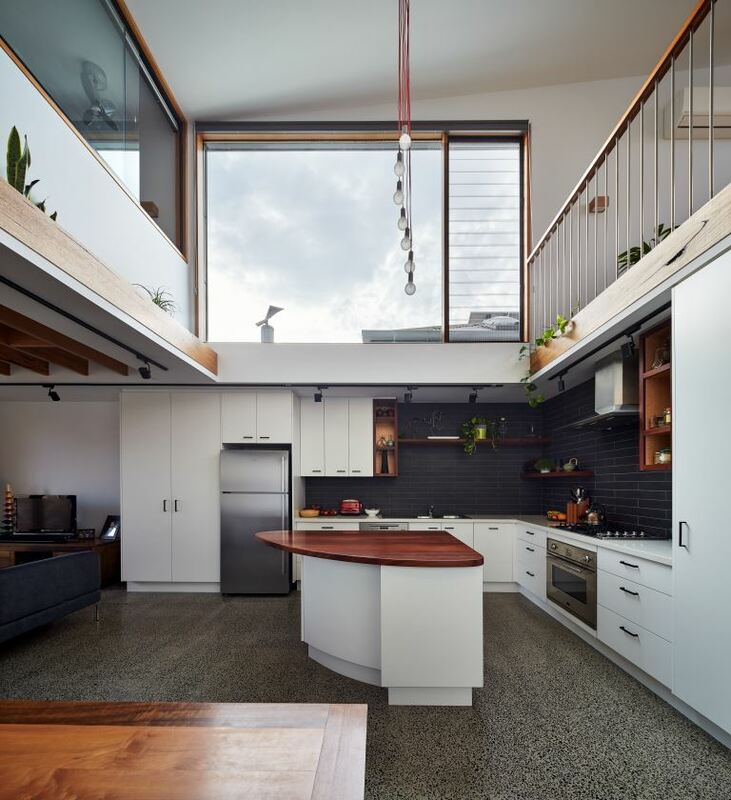 Ben Callery looked beyond the site constraints and the typical spatial boundaries within a terrace house’s rooms and levels to design this masterpiece. 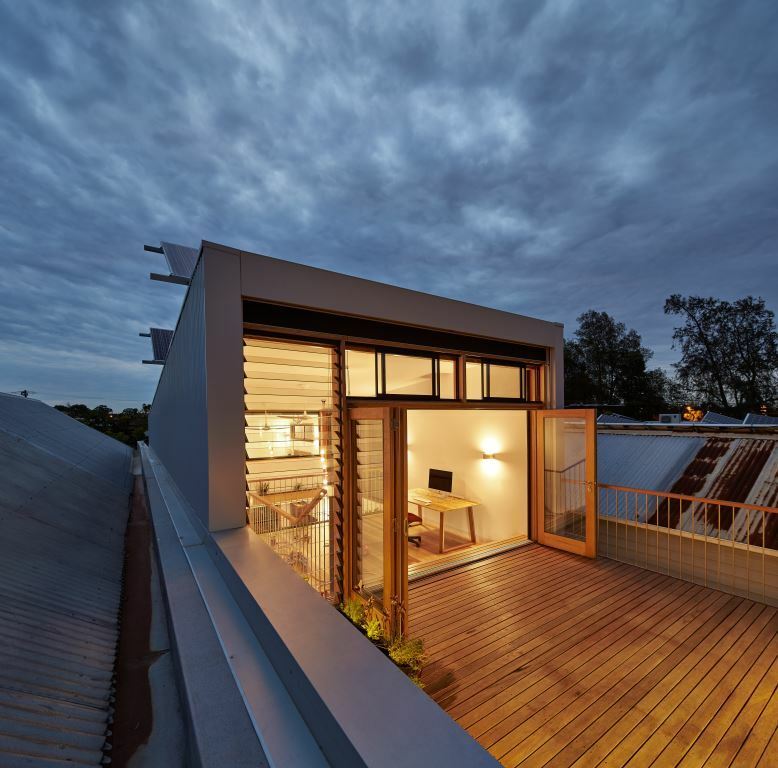 A central void was incorporated into the design, adjacent to a multi-purpose studio space which opens onto a roof deck. 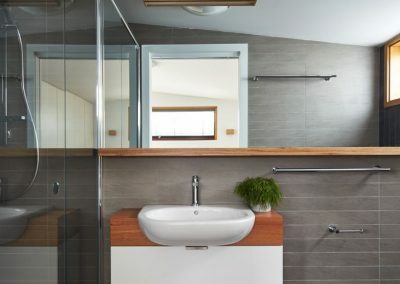 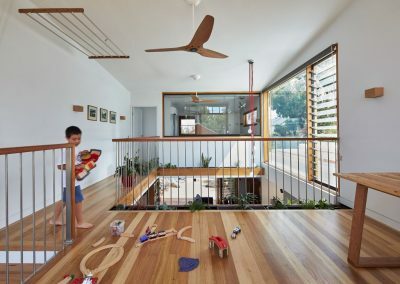 This enables the occupants to connect with their natural surroundings. 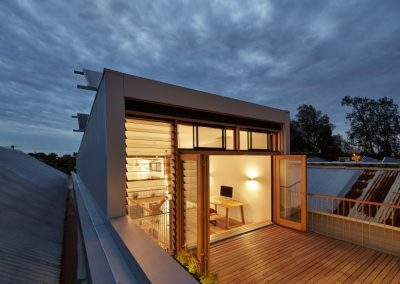 Internal planters and cleverly placed openable windows (internal and external) including Breezway Altair Louvre Windows help bring the external environment in from beyond. 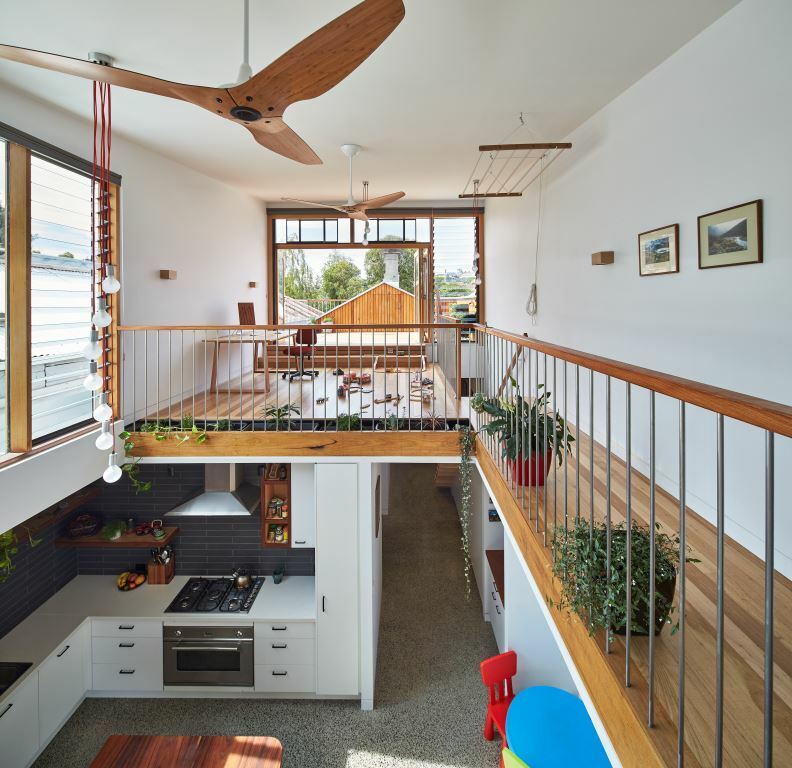 The open plan design allows rooms to share light, breezes and views across the void. 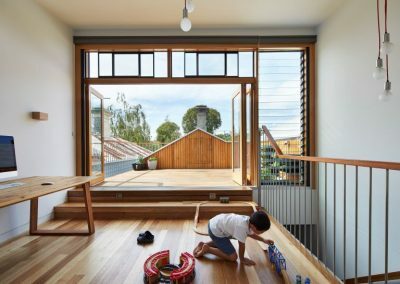 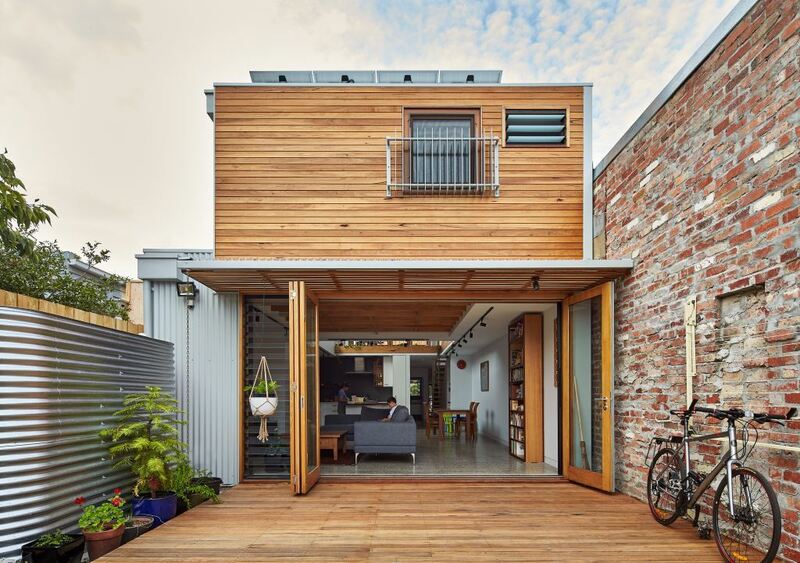 These elements break down the barriers typically within and around a terrace house to create social connections between occupants and the now visible Ruckers Hill community beyond. 2015 International Green Interiors Awards, shortlisted.